There has been a lot of debate recently about whether it would be beneficial for employees to have pets around the workplace. I have mentioned to my MD that we should invest in an office parrot, but apparently having my colleague Dan as the office mascot is “having a pet already”… Fair enough! I guess a parrot would be a bad idea anyway due to my allergies (details, details). In Japan there are numerous companies who are more than happy to have pets in the office, though! 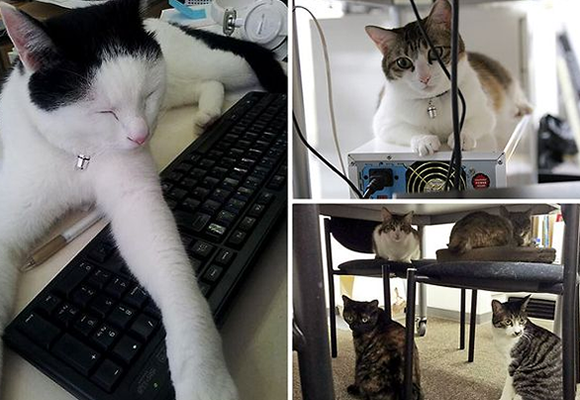 In a city such as Tokyo, a crowded environment where taking care of cats is problematic, the internet company Ferray Corporation actually encourage staff to bring their cats into the office! The main reason for this is to “reduce the stress levels” amongst employees. This idea is in response to the rise in “Cat Cafes” that stem from Tokyo and are growing in popularity. 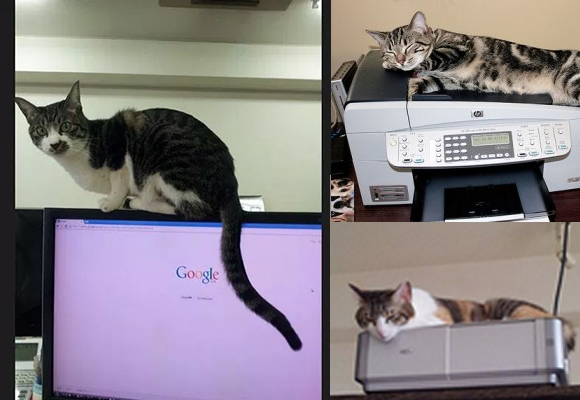 Ferray Corporation prides itself with having nine cats in the office who are free to roam around and be adorable amongst the employees. It has been proven that the stress levels within the office have decreased and the motivation amongst staff has indeed, improved! This could be a case of swings and roundabouts but my guess is that they will at least look adorable whilst they destroy the entire IT system? We have enough problems here with my colleague Ben chewing the cables… and he doesn’t look cute doing it, so maybe a cat would be a good option, long term? 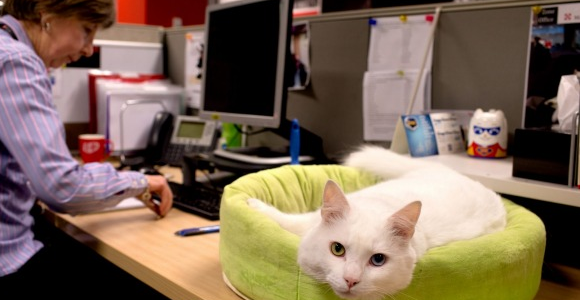 The company also encourages the “adoption of cats” for employees who do not have a pet of their own. Rewarding the adoptive owners with bonuses every month to make sure no pet goes homeless. Brilliant! The notion of bringing pets to the office seems to have spread to another company in Japan. Mars Japan Ltd also encourages employees to bring their pets to work to reduce their stress levels. The advantages that the companies offer to encourage the “bring your pet in for the day, everyday” scheme, shows how successful this theory is at reducing the levels of stress and increasing productivity. Who knew having something cute and adorable would increase morale? I must have the same effect on the rest of the team here at Office Reality! "If anyone in your office suffers from allergies, bringing a pet to the office would be inconsiderate, even if you are at the top of the food chain. But respiratory conditions aside, there are plenty of other problems with having an animal in the workplace that could severely impact your productivity." Other drawbacks, as mentioned by sceptics, are of course the possibility of pets becoming sick, a nuisance and smelly! On second thoughts, I don’t think I am going to bother mentioning having a pet in the office. Nobody is going to have the time to look after it anyway… Might have to get some robo-fish instead!